Johannesburg, at nearly 4 million people over 1,600 square kilometers (625 square miles), is the largest city in South Africa. A truly cosmopolitan city, Jo'burg, as it's often known, overflows with history and culture. From museums to On a short trip, there is much to be missed, so you'll need to plan accordingly to get the most out of your stay. 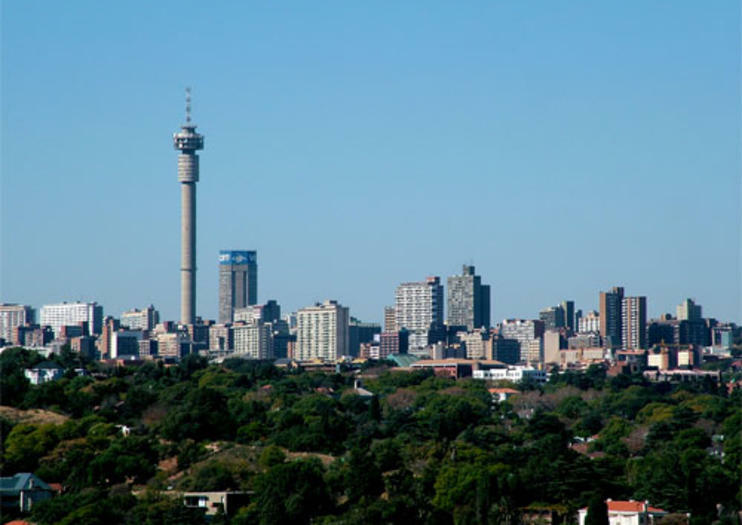 Taking a Johannesburg city tour is a great way to experience the city's highlights, and they only take up about 3 hours, leaving you ample time to see some of the city's other attractions such as Constitution Hill and the Zoology Museum. Round out this day with a night out in the nearby suburb of Melville. Melville is sort of a Bohemian enclave mixed with a university town. The center of Melville's nightlife revolves around 7th Avenue, a strip of clubs, bars, restaurants and cafes. Here you'll rub elbows with University of Johannesburg students and other revellers. On your second day, take a walk on the wild side with trips to the Pilanesberg Nature Reserve and Sun City Resort. A twelve-hour tour takes you from your hotel to the aforementioned nature reserve, where you'll search (from the safety of a 4x4) for the so-called "big five" - lions, elephants, leopards, rhinos and African buffalo. The second half of the trip takes you to Sun City, a casino resort/golf course with numerous bars and restaurants. On the last day of your trip, head to Soweto for half a day. While Soweto unfortunately owes its genesis to apartheid, it has risen from the ashes of that unsavory past and come into its own as a vital note in South Africa's history and culture. In Soweto, you'll want to visit the Hector Pieterson Memorial and Museum. This museum is named for a 13-year old boy shot and killed by police on the first day of the 1976 Soweto Uprising. Following your visit to Soweto and the Hector Pietersen Memorial Museum, you should visit the Apartheid Museum back in Jo'burg. The Apartheid Museum presents visitors with a thorough and moving backstory to South Africa's path to Apartheid and its people's eventually victory over the forces of segregation and inequality. Viator offers a tour package that includes both destinations. Johannesburg and its surrounding metro area offer a wealth of opportunities to experience this country's vibrant culture and history, as well as the unique flavor of one of the most cosmopolitan cities in the world. Explore the highlights of Pretoria during a tour from Johannesburg. Join a knowledgeable guide for a visit to one of South Africa’s capitals, often called ‘Jacaranda City’ for the profusion of lavender blossoms on its tree-lined streets each spring. Walk to Church Square to see where Nelson Mandela received a life sentence in 1964 and the nearby building where he became president of South Africa three decades later. Visit the famous Voortrekker Monument and the 19th-century home of Boer leader Paul Kruger. See all the beauty of Victoria Falls without the hassle of scheduling and navigating on a 3-day tour including roundtrip flights from Johannesburg. Visit Zimbabwe’s Victoria Falls village, then wind through Mosi-oa-Tunya National Park where you'll take a rainforest walk, see the world’s largest waterfall, and spot local wildlife on an exciting Zambezi River sunset cruise. Enjoy touring and travel by day, and comfortable accommodation in a 3-, 4- or 5-star hotel by night. Get a look at the best of Johannesburg during a half-day luxury coach tour. Travel in comfort as you see the main attractions in the city, including the Westcliff views, Nelson Mandela Bridge, Constitution Hill, and more. Enjoy spectacular views of Johannesburg from the lofty heights of the viewing deck of the Carlton Center skyscraper.